On Wednesday, July 26, GSF held a grand opening and ribbon cutting ceremony for their newest meat processing plant in Opelika, Alabama. The 165,000 square-foot LEED Certified processing plant has an annual production volume of approximately 170 million pounds of protein products. The Opelika location is GSF’s first fresh beef processing plant, with six frozen and five fresh patty lines dedicated to burger patties. The expansive facility services six McDonald’s distribution centers and 2,900 McDonald’s restaurants throughout the Southeast as well as four Nestlé manufacturing facilities. The plant’s opening has created more than 200 jobs for the local Opelika community. 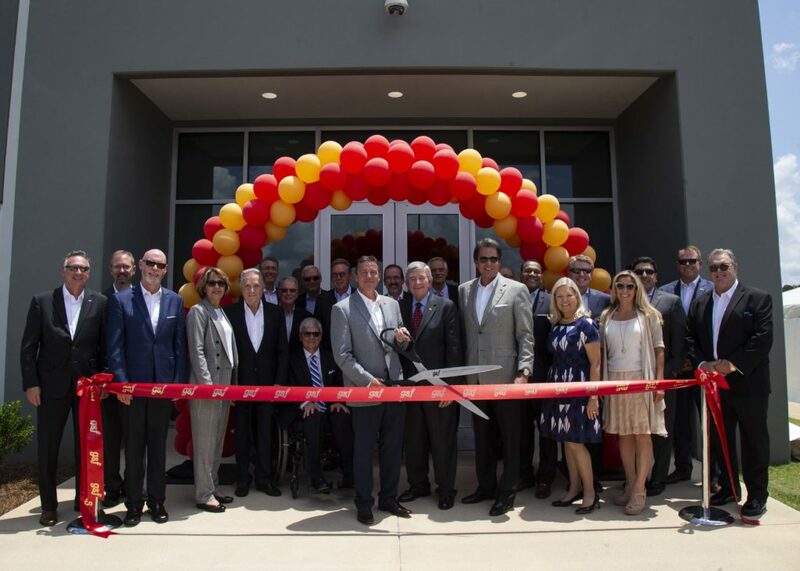 The event was attended by nearly 100 guests, including GSF’s Executive Board, Management Committee, several McDonald’s Owner/Operators, local officials, and Opelika’s Mayor, Gary Fuller.